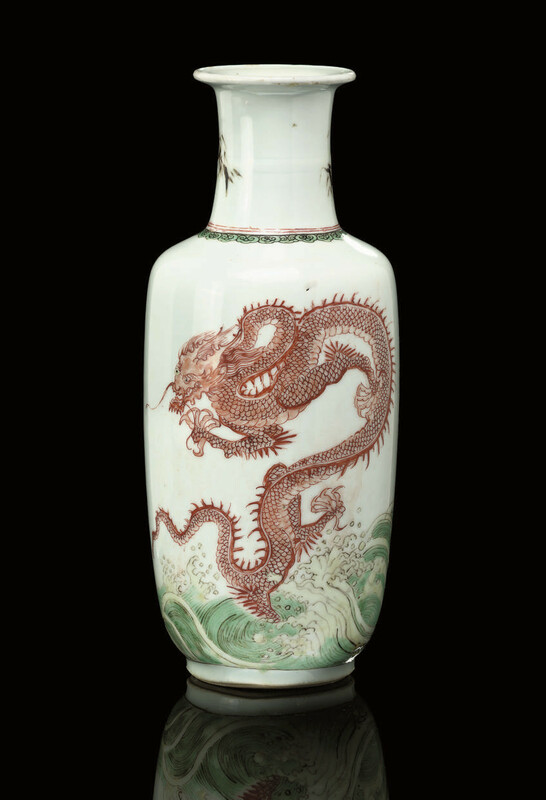 painted to the body with an iron-red sinuous dragon in flight, chasing a flaming pearl above foaming green enamelled waves, the ribbed neck with black enamelled bamboo sprays -- 10in. (25.5cm.) high, fitted box.